SWEETHEART&TRADE; IS HANDS DOWN OUR FINEST LYCHEE. 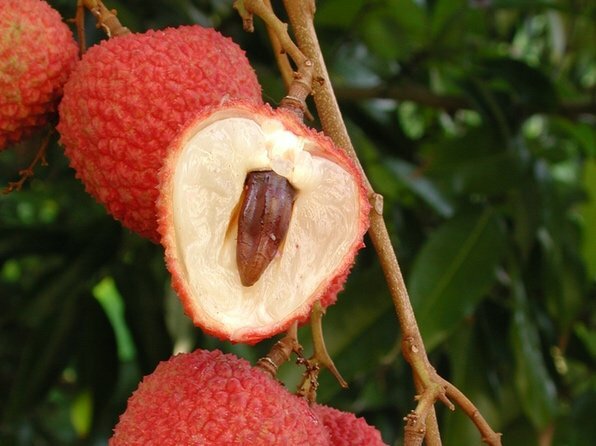 IT IS A CONSISTENT PRODUCER OF HUGE HEART SHAPED FRUIT ALL HAVING CHICKEN TONGUE SEEDS. PRODUCTION IS CLOSE TO THAT OF MAURITIUS INSPIRING SMALL COMMERCIAL PLANTINGS BY GROWERS TARGETING HIGH-END PRODUCE MARKETS AND GOURMET RESTAURANTS. IT IS QUICKLY BECOMING THE VARIETY OF CHOICE BY DOORYARD GROWERS FOR ITS RELIABILITY AND SUPERIOR QUALITY.